This handmade wool hanging comes from Mongolia. The hanging depicts the Holy Family in a Nativity scene. The pattern is burned onto sheep wool using wood-burning tools. The hanging measures 20.5 inches tall by 12 inches wide. 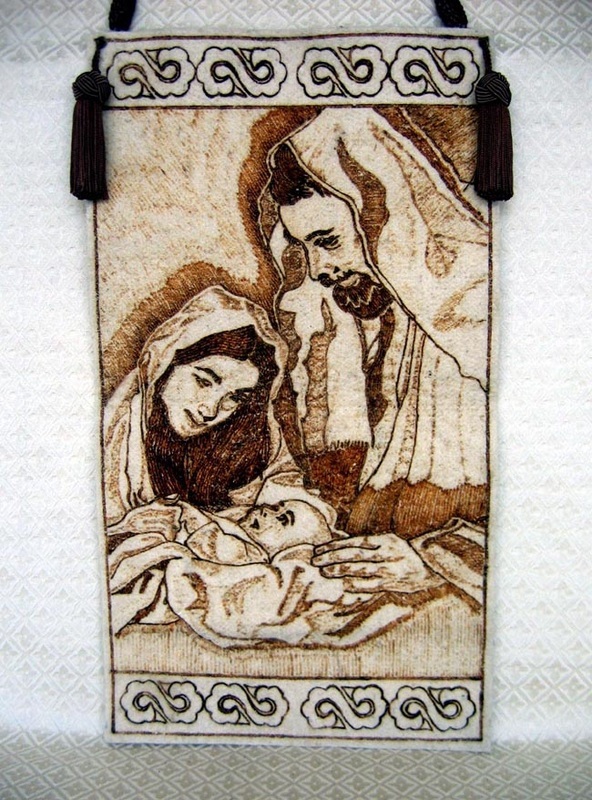 The hanging was made by our friend Bayaraa, a disabled artisan in Mongolia. Bayaraa used a Caucasian drawing as his model for this hanging. The original is called "The Nativity" by Ted Henninger.